Syrian rebels claim to have downed a Syrian air force MiG-21 fighter jet that crashed in Hama Province while bombing militant positions. At least one pilot died, for which conflicting reports blame either fire from the ground or a jet malfunction. A Syrian military source told Sputnik agency that the jet was “shot down near the Hama military airfield,” and that one pilot had managed to eject, while the second one died. “After the Syrian Air Force plane was hit, one pilot ejected and landed at the al-Magir village, which is controlled by the Army. 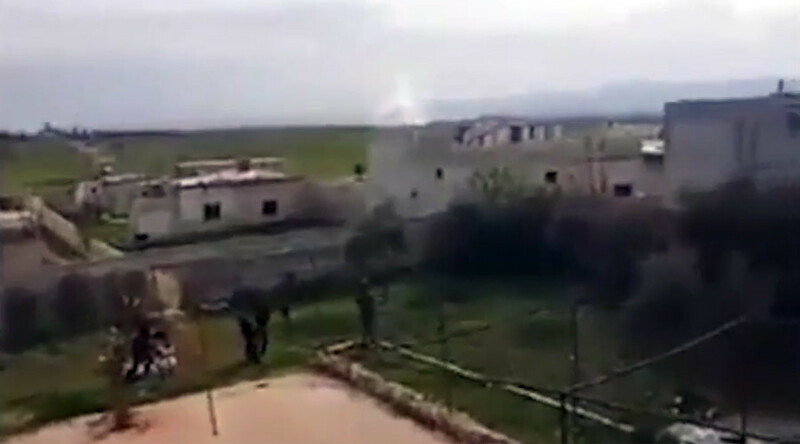 The second pilot attempted an emergency landing at the Hama military airfield. The landing failed and the pilot died,” the source said. “The pilot was ejected and brought to safety in al-Mughayr,” a military source told the Syrian Al Masdar News outlet. The same source insisted that the plane was not taken down by militants, but crashed due to a technical failure. However, other reports also quoting sources in the Syrian army suggest that the pilot was shot and killed while parachuting to the ground. Statements of a completely different nature have been coming from Syrian rebels and a group monitoring the conflict, who claim the aircraft was downed by militants, although there have been conflicting accounts on whether it was taken down by a missile or anti-aircraft guns. The Syrian Observatory for Human Rights claimed that militants fired at the jet with two heat-seeking missiles. Islamist militants from Jaish al-Nasr, a militant group operating in the area, said they had downed the plane with anti-aircraft guns. As proof, the militants posted several pictures on Twitter shortly after the crash that appear to show the plane and the pilot parachuting from it – all bearing the logo of their organization. Moreover, unconfirmed footage showing rebels on the ground allegedly firing at the MiG-21 was posted on YouTube. However, it has been difficult to determine the authenticity of the video or whether the warplane was really hit by anti-aircraft weapons. The parachute in the clip rather resembles the type used for dropping humanitarian aid. MiG aircraft were a staple weapon in the Soviet military’s arsenal, and are still an integral part of the Russian air forces lineup. They have been widely used by the militaries of China, North Korea, and North Vietnam in aerial combat with American and allied forces. The Mig-21, the 1956 version of the aircraft, is a multirole fighter jet that has been widely exported and become the backbone of dozens of air forces, including those of many Arab nations. Due to its mass production, it is very cheap for a military aircraft, making it the highest selling jet fighter in world history. Figures show that at least 12 Mig-21 planes were downed in the Syrian conflict in 2015. The attack on Islamic rebels in Hama is the Syrian air force’s latest attempt to thwart an offensive launched by jihadists on the positions of the Syrian army. Authorities have not yet commented on the crash and no official confirmation of the incident has been issued. The Syrian rebels, who are backed and supplied with weaponry from foreign sponsors, have shot down Syrian warplanes with anti-aircraft guns before.